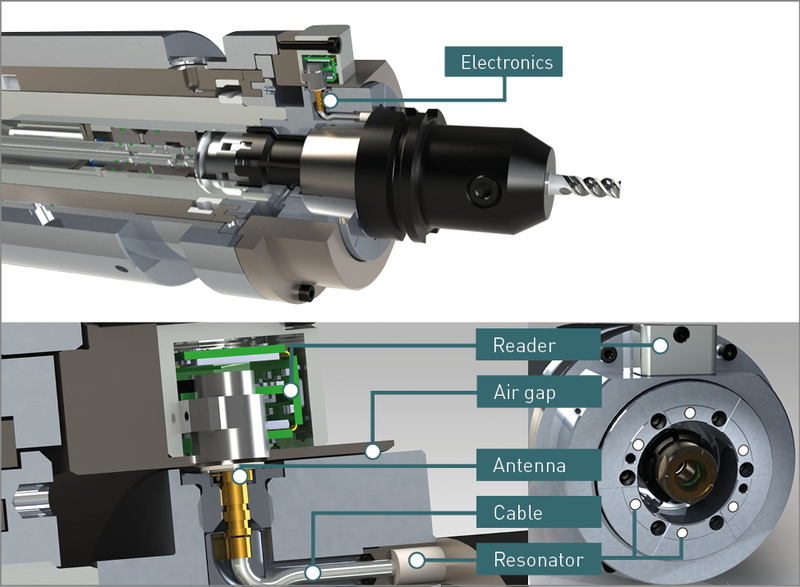 PLANKO - Machining Sensor System - OTT-JAKOB | Advanced Machine & Engineering Co.
During the machining process, the material chips can mix with the coolant and form an adhesive substance that sticks to tools and system components. Contamination like this is particularly problematic for tool contact surfaces. Foreign bodies just a few hundredths of a millimetre in size can cause the tool to be misaligned or axially offset when it is clamped. In order to ensure that the machining process is safe, the end face area has to be monitored. The sensor system PLANKO from OTT-JAKOB is a completely new end face monitoring concept. Using extremely high-frequency radar electronic components, its patented measuring technology can measure direct distances to the micrometre. The system is based on a compact, passive electronics module consisting of a resonator, cable and connector which are integrated into the spindle nose. The end face is determined during rotation by the resonators working in sequence. The reading head compares the current measurements with a predefined reference value stored in the internal memory. If the measurement deviates from the reference value, a comparator signal will collect the measurement data and send them to the machine control system. With the help of our form for economic efficiency calculation you can easily determine how your investment in PLANKO will pay off.